Levin College of Law at the University of Florida is one of the nation’s most comprehensive and leading law schools. Founded in 1909, and recently underwent a $25 million renovation, it is surrounded by a sprawling and beautiful campus, the UF Law school features expansive, state-of-the-art facilities. In order to focus on their studies, students attending the Levin College of Law are looking to live in quiet, well-maintained apartments near the UF Law School. 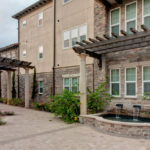 Although Gainesville has the reputation of being one of the top schools to party, there are a few apartments in Gainesville, which are near the library and UF campus and allow students to study in peace. These huge lofts are located right behind University Avenue in a huge LOFT apartment. 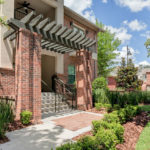 Arbor lofts are within walking distance to UF classes, Library West, and the Levin College of Law school! The lofts include cathedral ceilings, skylights, exposed wood beams and a whole lot more. The lofted bedroom overlooks the spacious living room. The units are just steps from the University of Florida football stadium. Arbor Lofts is one of the most popular 1 bedroom apartments in Gainesville for UF law students. 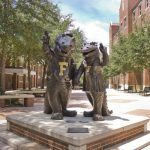 These apartments are located just 2 blocks from the main UF campus and are within walking distance to classes, libraries and famous student hangouts in Gainesville. These offer unique luxury living in a very central location. Ashton Lane is one of the more popular choices for 2 bedroom aparments in Gainesville near the UF Levin College of Law– and judging by the above picture, it’s no surprise. Those apartments are really luxurious! These Gainesville apartments are located within a mile from UF’s campus. Center court offers an affordable housing option for 1 to 2 BR apartments without having to sacrifice on location or amenities. These apartments are located right off of 13th street, just steps from midtown, restaurants, and other popular attractions in Gainesville. It’s definitely one of the cheaper apartments near UF campus, too! If you’re looking for upscale flats and townhomes just 1 block from UF, Heritage oaks is the right place for you. 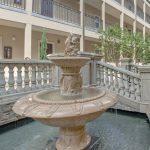 These luxury Gainesville apartments offer spacious floorplans and come with washer/dryers in each unit, designer lighting, Gatornet – Hi-Speed Internet and much more. Additionally, each apartment offers an exclusive, upscale feature, such as an oversized balcony with modern swing, tray ceilings, built-in curios and bookcases, or large storage closets. If you’re looking for a peaceful and quiet house, 108 house might just be the one for you. 108 and 110 are super cute houses located across University Ave from the stadium and the O’Dome. These are fully renovated with petrified wood floors, come with a brand new gourmet kitchen with GRANITE countertops, new bathrooms, new paint, new central heat and air, and more. Washer/Dryer access, private for the unit, included in rent. One parking space is also included in rent.